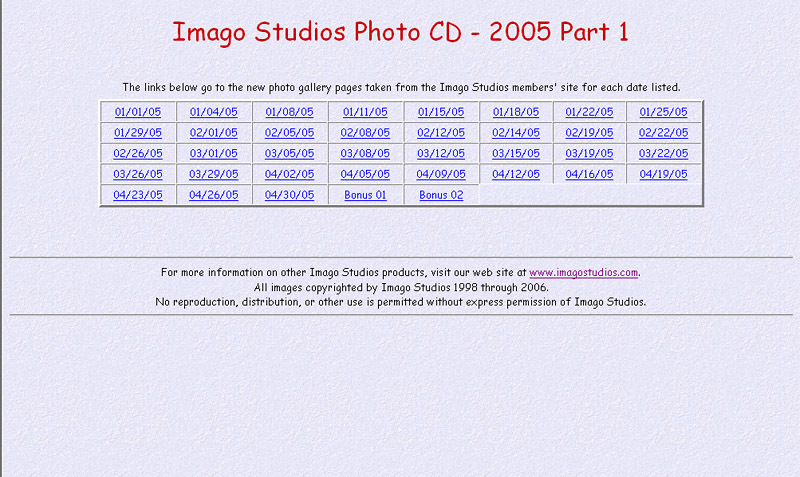 The most economical way to complete your collection of Imago Studios' photos from the early years! These files contain all the "New Photo Updates" to the Members' Section from our start in 1999 through 2009. These zip files include all the original web pages, so you can see the updates and descriptions just as they originally appeared in the Members' Section.